To Gain $100,000 to $1,200,000 for Your Business! 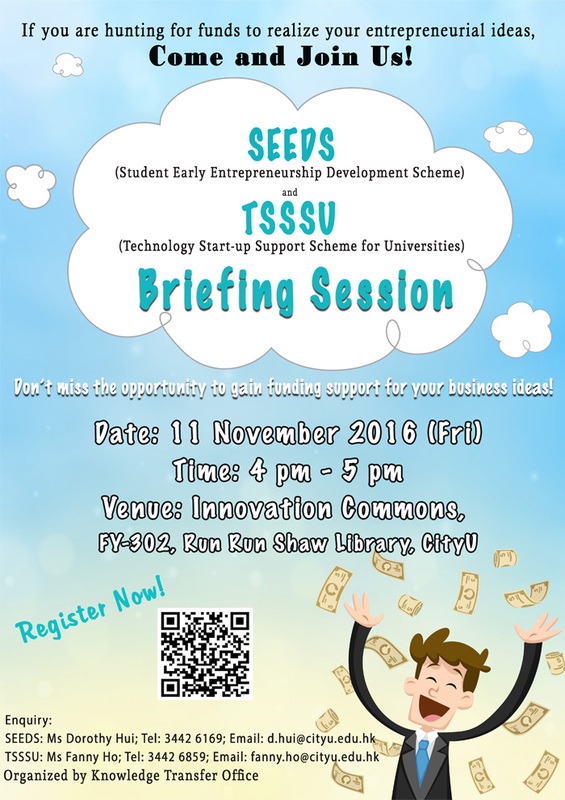 SEEDS & TSSSU are funding schemes for CityU Entrepreneurs. Don’t miss the opportunity to gain funding support for your business ideas! Come and Join our Briefing Session (details as below)!